Nolan Schooley’s alarm goes off in the early hours of the morning. He gets up, gets ready and goes to his job at The H Hotel bakery. He starts by setting up the desserts in the café, making them look picture perfect in the display case at the counter. He then gets to work creating desserts for any banquets that The H may be hosting that day. And after that? He bakes. 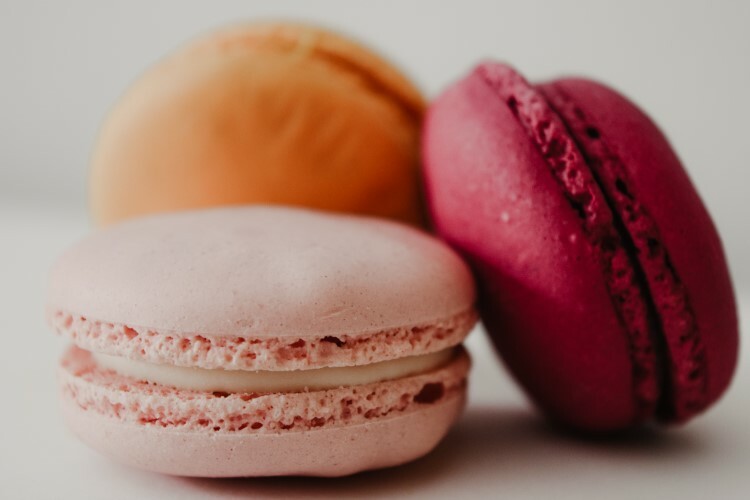 Schooley heads home after work, and bakes even more, creating custom-made cakes and treats, working tirelessly to keep his Instagram feed full of beautiful desserts. It’s this blur of baking and creating that gives him both passion, and now fame, with his recent run on the Food Network’s Holiday Baking Championship. 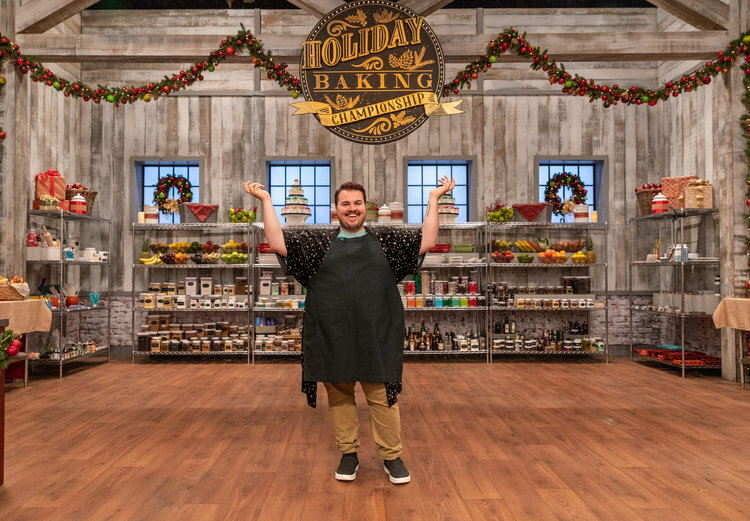 Nolan Schooley on the set of Food Network's Holiday Baking Championship. “I don’t really sleep, it’s just baking all the time,” says Schooley. The 27 year-old first started learning to bake in high school. Hailing from Sanford, Michigan, he enrolled in the Culinary Arts program at the Bay-Arenac ISD Career Center while attending Meridian High School. “The program at Bay-Arenac was really great. It’s essentially like taking college courses, and they put you in a career class so you can know if that’s what you actually want to do. Instead of learning things that wouldn’t apply to my career, I was able to choose things that were applicable to what I really wanted to do,” says Schooley. 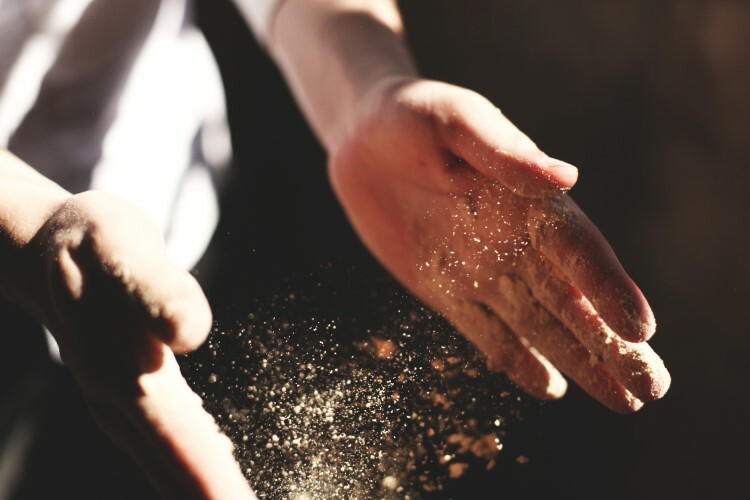 Under the tutelage of Cindy Rezler, Schooley learned that it was baking, not just culinary arts, that he loved the most. 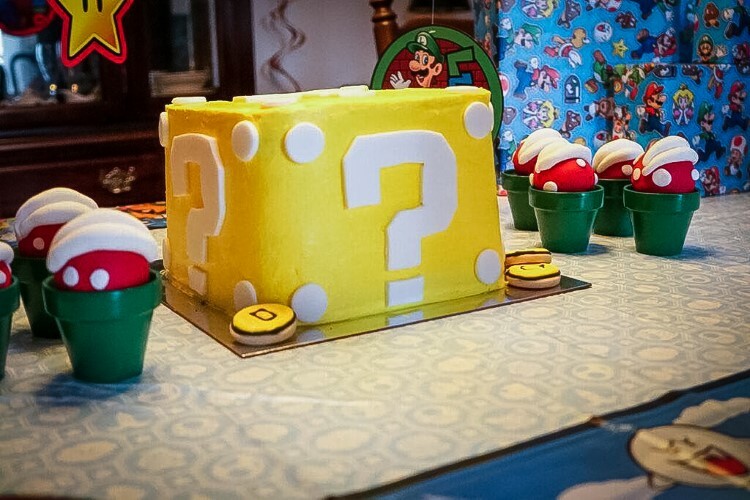 A Mario Brothers themed cake, one of Schooley's baking creations. After graduating high school and Bay-Arenac ISD, Schooley went south to Miami, Florida. He studied culinary arts at Johnson & Wales University, the largest food service educator in the world. After graduation, he headed back home to Michigan to start his career. In 2016, Schooley was hired at The H Hotel of Midland, Michigan and started working with pastry chef Jeremy Lacreuse. “It’s a combination of all of these experiences and working with these individuals that really taught me everything I know about baking,” says Schooley. 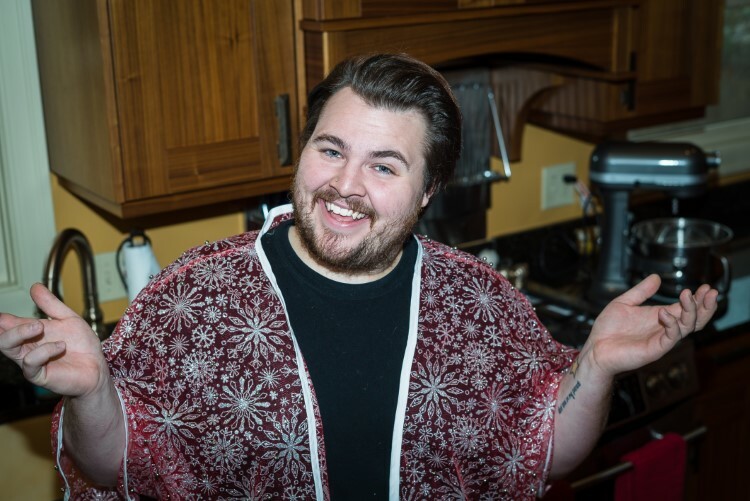 Schooley never sought out the Holiday Baking Championship show on Food Network, but rather the Food Network sought him. Pastries ready for the bakery case at The H Hotel in Midland. Nolan in his home kitchen where he focuses on making some of his most artistic work. 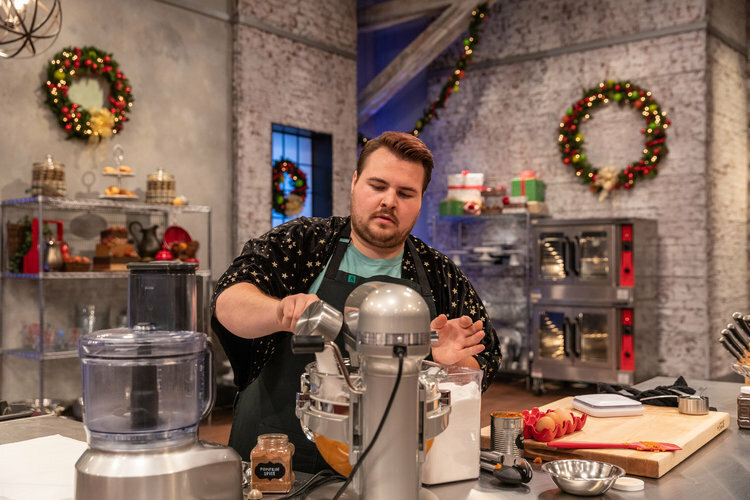 Now in the fifth year of production, the Holiday Baking Championship by the Food Network is one of the most popular shows on the network. Two spin-offs have been created, the Halloween Baking Championship and the Spring Baking Championship. This year’s host is Jesse Palmer, and judges Nancy Fuller, Lorraine Pascale and Duff Goldman do the tough work of determining who advances to the next round and who is sent home. “It is exactly like you see it on TV. When they say you have two hours, you have only two hours! There are no recipes so everything you make is done all off of your memory,” says Schooley. “When watching at home, I have always wondered, do they really have this time crunch to do these things, and why do people make such simple mistakes? Now I get it, and I’m sure people are at home on their couch wondering the same things about me,” says Schooley. Schooley caught the baking bug from the Culinary Arts program at the Bay-Arenac ISD Career Center while attending Meridian High School. After being flown out to the filming location, Schooley met his co-contestants. There were eight individuals in all, and off screen they became an incredibly close-knit family. Of his newfound friendships, Schooley says that they keep in close contact. The first episode and challenge was a success for Schooley. The challenge to create a yule log and apple pie mashup was daunting, but he pulled it off without a hitch. He had the idea to create not a yule log, but a “yule stump”. Schooled pushes through the timed baking challenge on set with the Food Network. The second episode of the Holiday Baking Challenge was less successful. The challenge to create four pies in one sheet pan was going to prove far more difficult. “It was SO hard because every pie has a different baking temperature and you have to make a different crust and make sure everything comes together. This one I partnered with Julia, another contestant on and we had a blast, but figuring out how it would work was a major challenge,” says Schooley. The main challenge for the second episode was even harder. It involved creating a stuffed cake, which is one of Schooley’s specialties, but they can take a lot of time to put thought and detail into. “I love cakes, I make them all the time, but I definitely took on way too much work for the time we were allotted. In two hours I made a chocolate cake, and a white chocolate cherry mouse, homemade chocolate cherry cordials, and a chocolate rum cake with buttercream frosting. AND I made fondant leaves! It got down to the wire and I ran out of time to decorate it. It looked like a hot mess! My flavors were there, but it looked like I had dropped it! I remember being so upset that day, knowing I was going home. Everyone was so supportive, but I definitely went home after that episode,” says Schooley. Schooled plans to start an Etsy page so he can continue to sell his confections and pastries to his loyal customers in Michigan. This is just the beginning for Schooley. 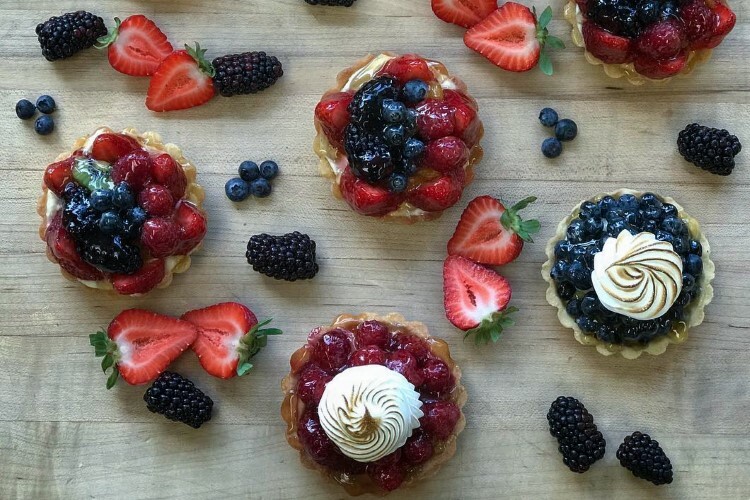 He plans to start an Etsy page so he can continue to sell his confections and pastries to his loyal customers in Michigan. He is creating this option because he is moving to Boston, Massachusetts soon. “I have a new job waiting. The baking and pastry world is always evolving and changing, and I want to be able to learn more. I want to find a career path in gastronomy. It’s going to be so hard leaving because all of my friends, family, customers and network are here, but it's time,” he says.